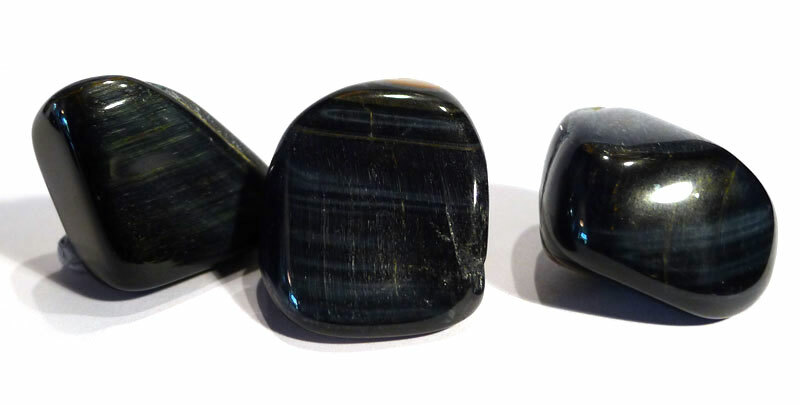 Properties: In spite of its colour, blue tiger’s eye is usually considered to be aligned with the root chakra, as it is very dark, and incredibly grounding and protective. It is also very calming, with a soft, cocooning sense of safety and nurturing. This makes it helpful in achieving a deep meditative state. 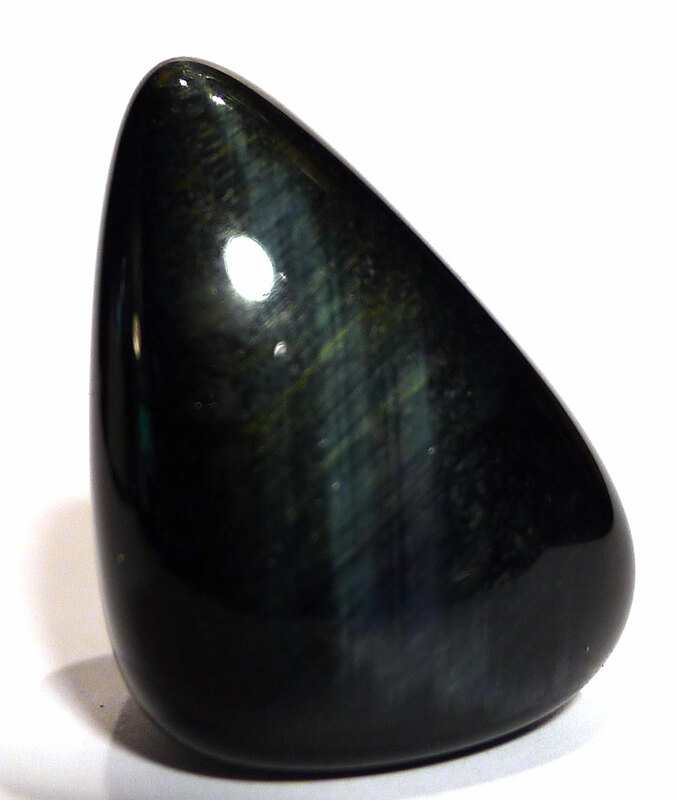 When aligned with the Throat Chakra and communication, the quartz comes into its own, helping the user to communicate with clarity, cutting to the chase, and also encourages communication on a higher level. 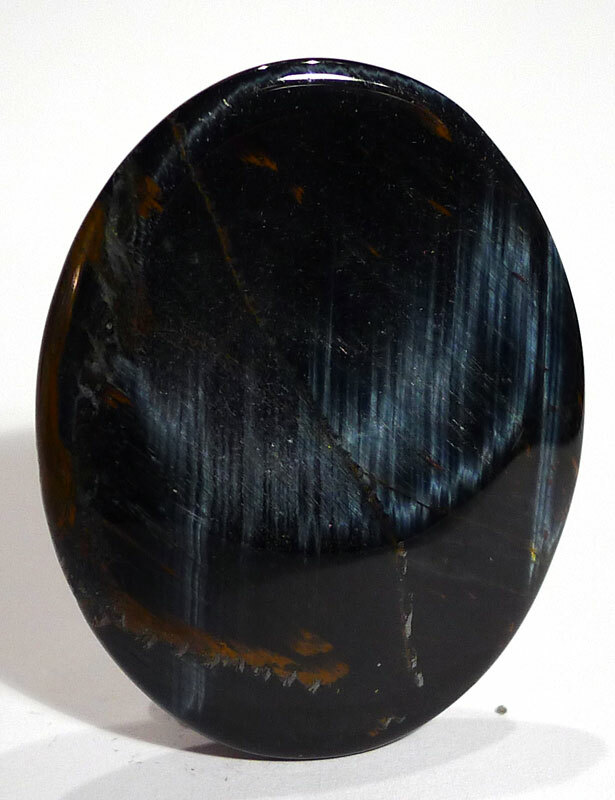 In common with other deep blue minerals, it appears to support and reconfigure brain function, assisting synapses to find new pathways, particularly when there has been damage.